4-CD box (LP-size) with 104-page hardcover book, 117 tracks. Playing time approx. 262 mns. 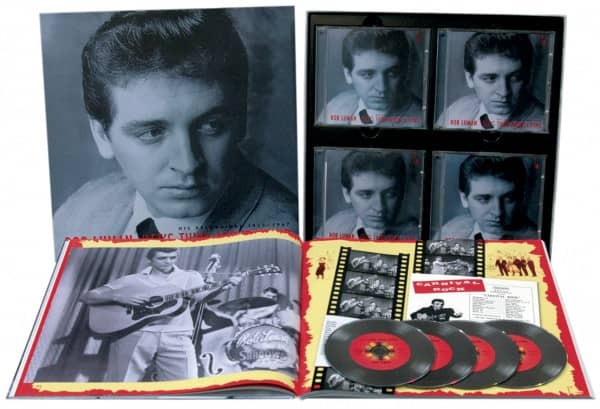 His complete recordings (1955 - 1967) with rockabilly classics like Red Cadillac And A Black Mustache, Red Hot, Svengali, and many more, plus the Top 10 pop hit Let’s Think About Living. 8 previously unissued performances, and many in stereo for the first time. A 104-page-hardcover book with many rare and previously unpublished pictures. 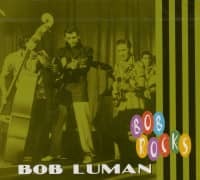 From the moment he discovered Elvis in August 1955 and followed the King across the Texas Plains, Bob Luman's career as a rocker was set in stone. It was just a matter of time before he would follow in Presley's footsteps. 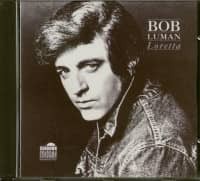 Although Bob Luman has become an icon to rockabilly collectors today, his earliest recordings are scattered across dozens of obscure or out-of-print LPs and CDs, with sound quality often leaving much to be desired. 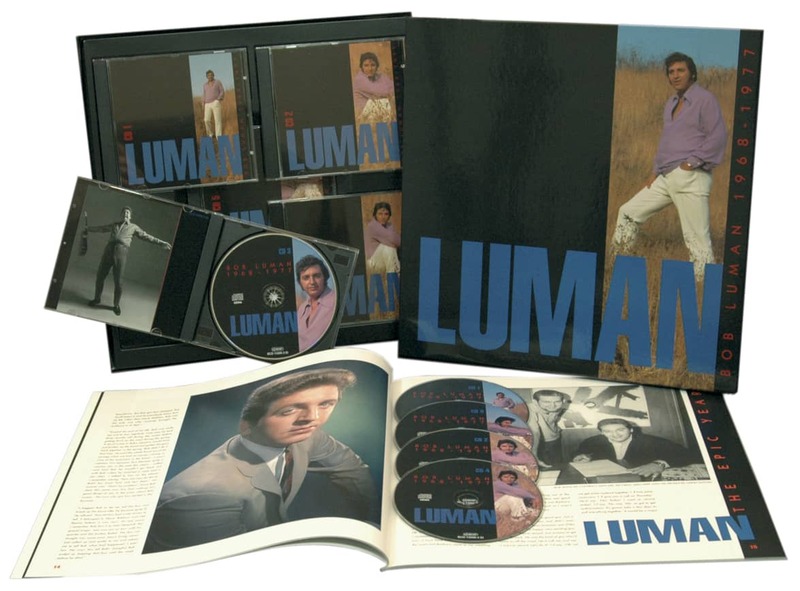 Finally, Bear Family has released the box set that Bob Luman's fans have eagerly awaited. This box gathers together all of Luman's earliest records, including his 1955 Texas recordings and his contribution to that cinematic classic, 'Carnival Rock.' 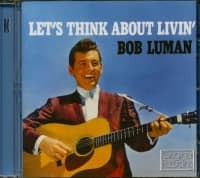 Also included are Luman's Abbott, Imperial and Capitol recordings (1957/58) from Texas and Los Angeles and his entire output for Warner Bros. (and 1959 – 1962) Hickory Records (1963-1967). Many of these recordings appear in stereo for the very first time. Although Bob Luman's Hickory recordings show a strong country influence, Luman never left his rockin' roots for very long. As Texas legend Mac Curtis observed, "Bob Luman was a rocker right to the end." These four CDs are accompanied by a lavishly illustrated book by music historian Hank Davis. It includes previously unpublished interviews with Luman's guitarist James Burton, songwriter John D. Loudermilk, and running buddies Bobby Bare and Mac Curtis. 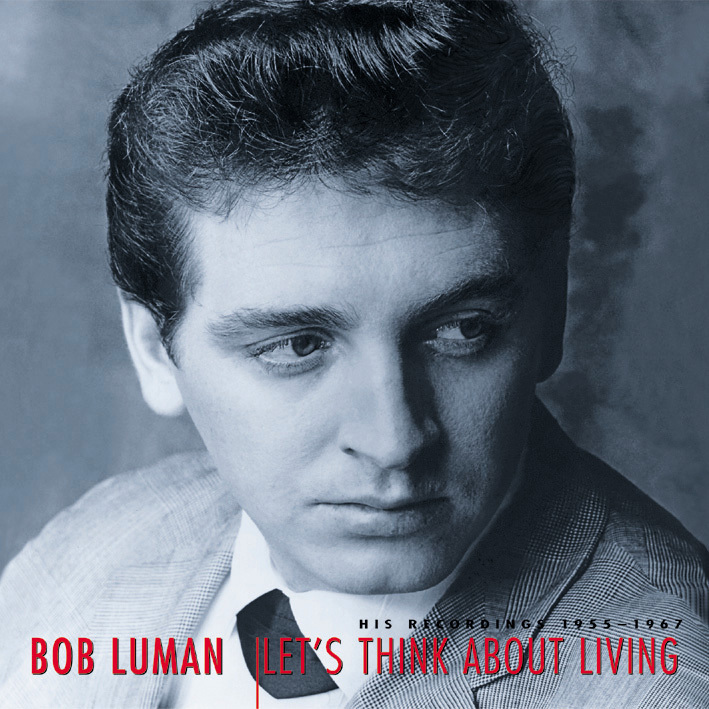 Taken together with Bear Family's 5 CD set of Luman's later work for Epic and Polydor (BCD 15898), Bob Luman's life and recording career have now been given the full Bear Family treatment. A companion piece to these box sets is a DVD of exciting 1958/59 Luman performances from Town Hall Party (BVD 20004), which feature James Burton, Joe Maphis and Merle Travis. The wait is over. 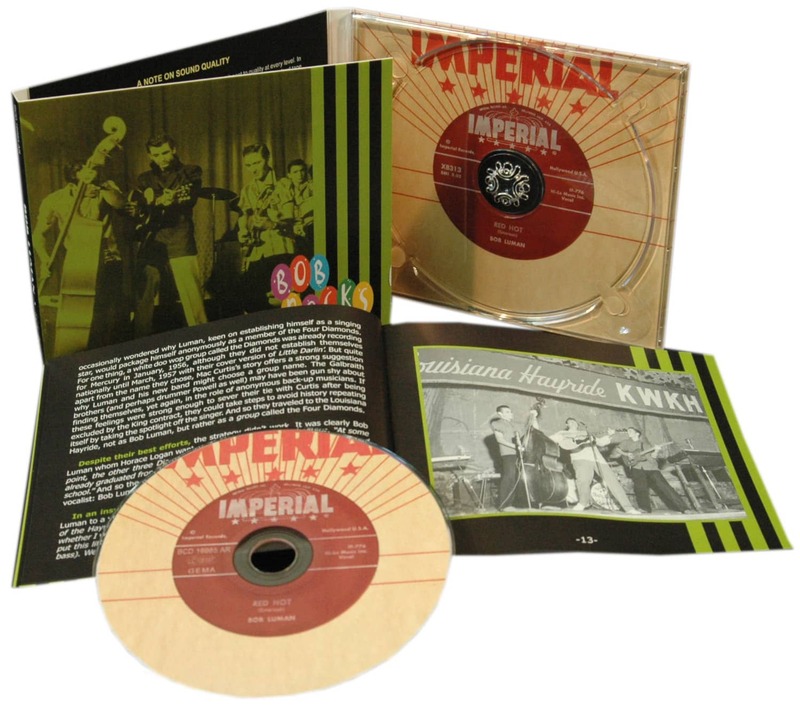 The ultimate Bob Luman experience is finally here for his legion of fans as well as for collectors of '50s rockabilly. Customer evaluation for "Let's Think About Living (4-CD)"